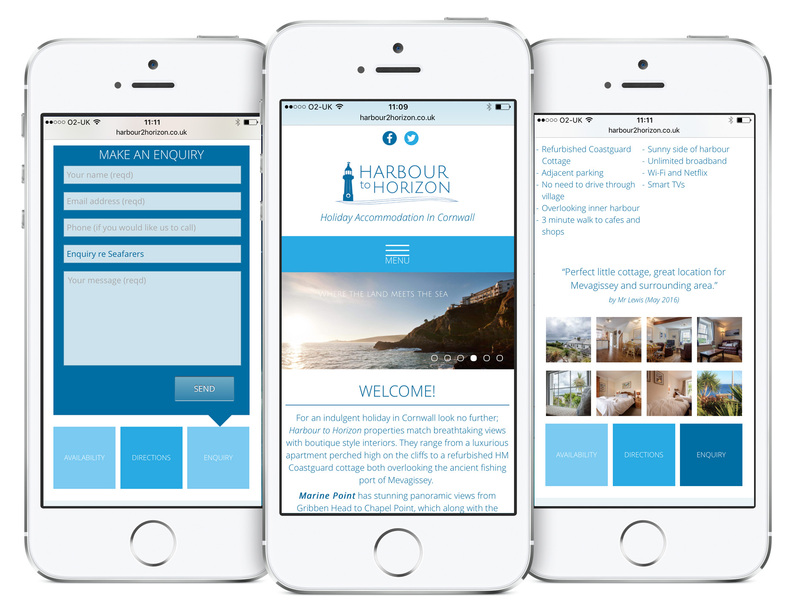 We worked with Harbour to Horizon to create a parent brand for their holiday properties 'Marine Point' and 'Seafarers' in Mevagissey. 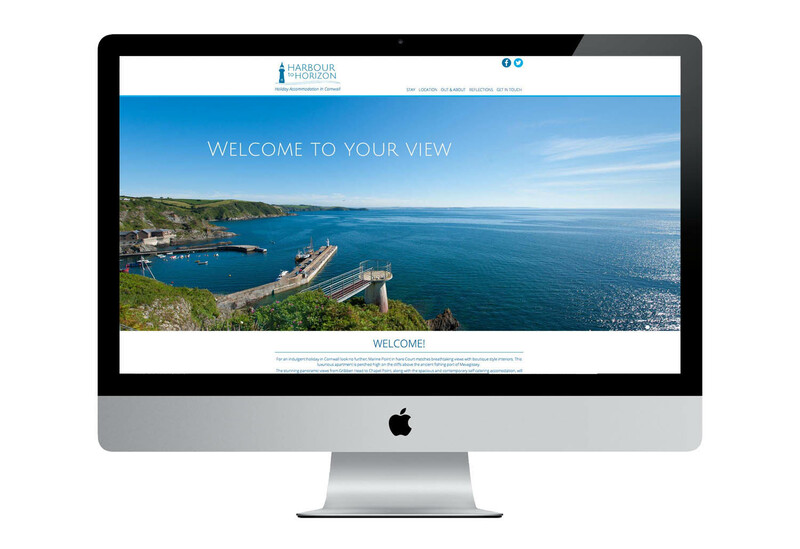 We provided them with photography of their property, Marine Point and the surrounding area, all printed promotional materials and a responsive website. 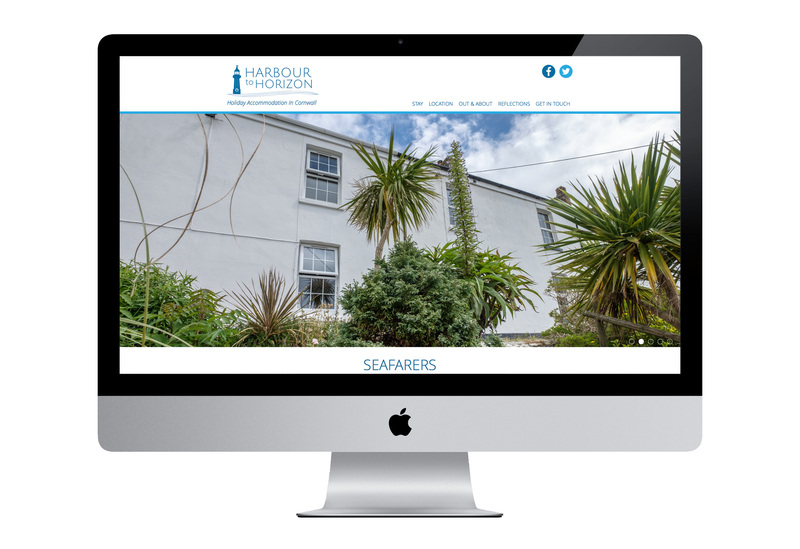 This bespoke site development has recently been expanded to incorporate 'Seafarers', a new property added to their portfolio and also with the addition of an e-mail sign up for forthcoming promo newsletters. Really great people to work with and I think 'Marine Point' has some of the most staggering views in all of Cornwall! 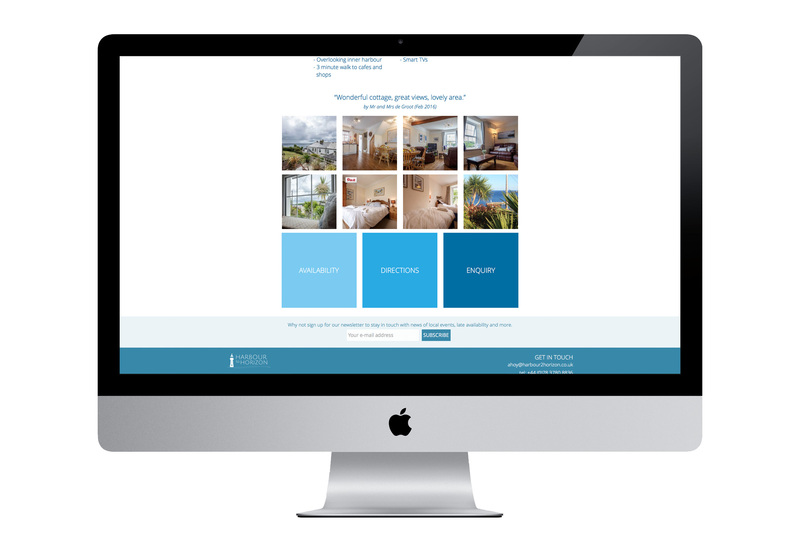 "We were delighted with the brand image and website design that Design Room gave us. We had a clear idea of the overall impression we want to create, we were unsure about how to deliver it. Design Room took all those random thoughts and produced something very special - exactly as we hoped for. 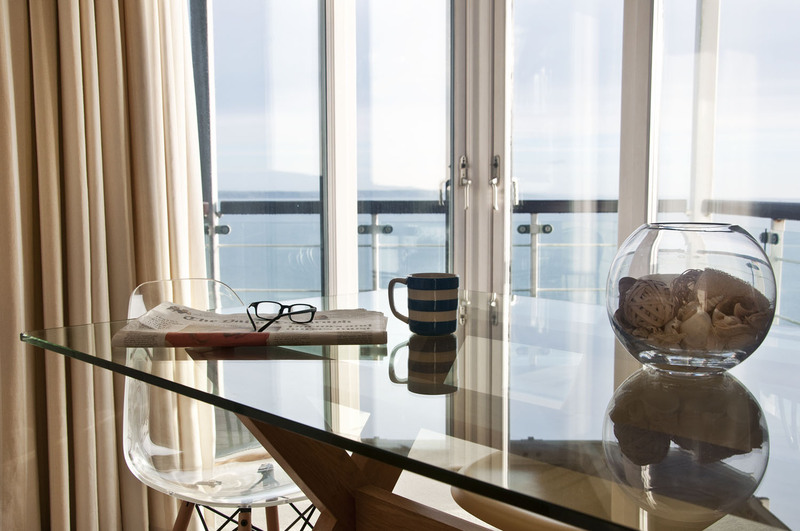 Working collaboratively was a joy - nothing was ever too much trouble and the photography created the perfect mood shots to entice guests to book with Harbour to Horizon." Neal Rankin, Harbour to Horizon.